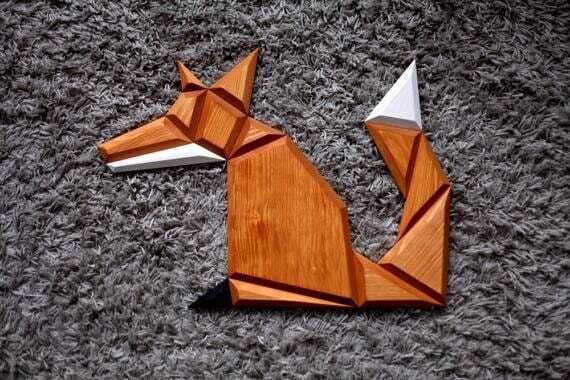 Be cunning like this fox in a modern wall decoration ! Entirely hand made, this design wall trophy is in spruce wood for a better quality. 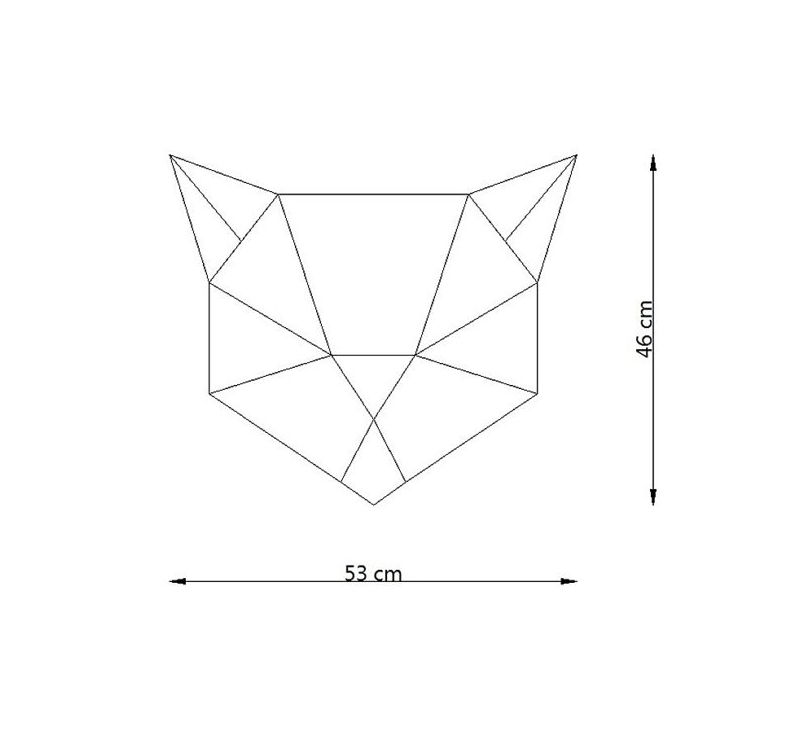 The dimensions for this contemporary fox wall decoration are 51 x 38 cm. All our decorative animal heads are delivered free in metropolitan France and Belgium. 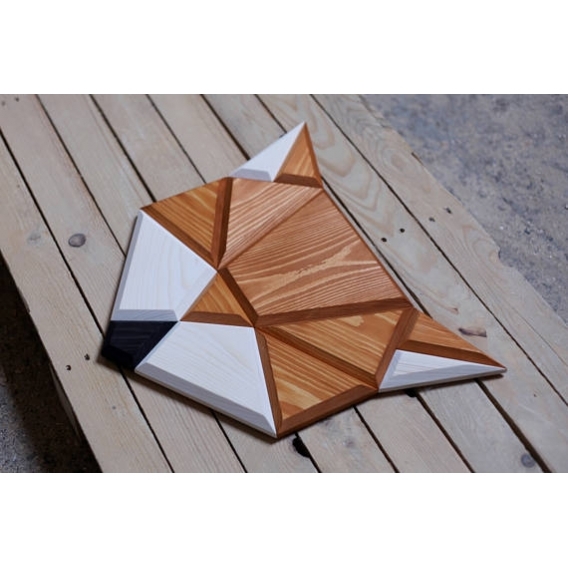 Design, this modern wall decoration of a fox proposes a trendy geometrical style to decorate your walls in the most beautiful way. This cunning animal will perfectly fit in your interior decoration with white and orange colours to bring energy to your walls. This deco animal head is entirely hand made of wood by our artists to deliver a contemporary and original piece for any type of interior. 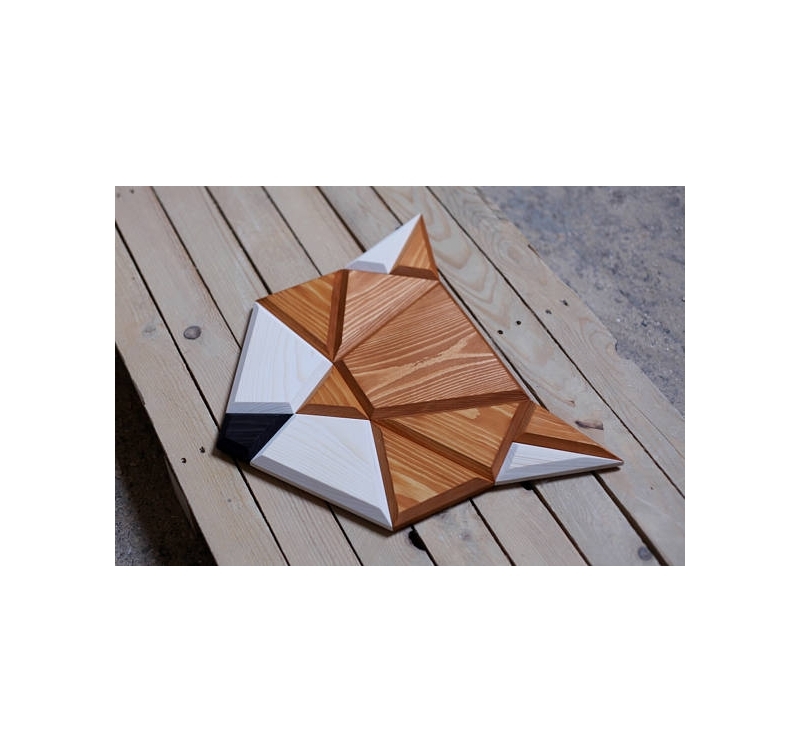 You can put this fox wood wall decoration in your children’s bedroom to illuminate their walls with a funny wall trophy that will keep them company. 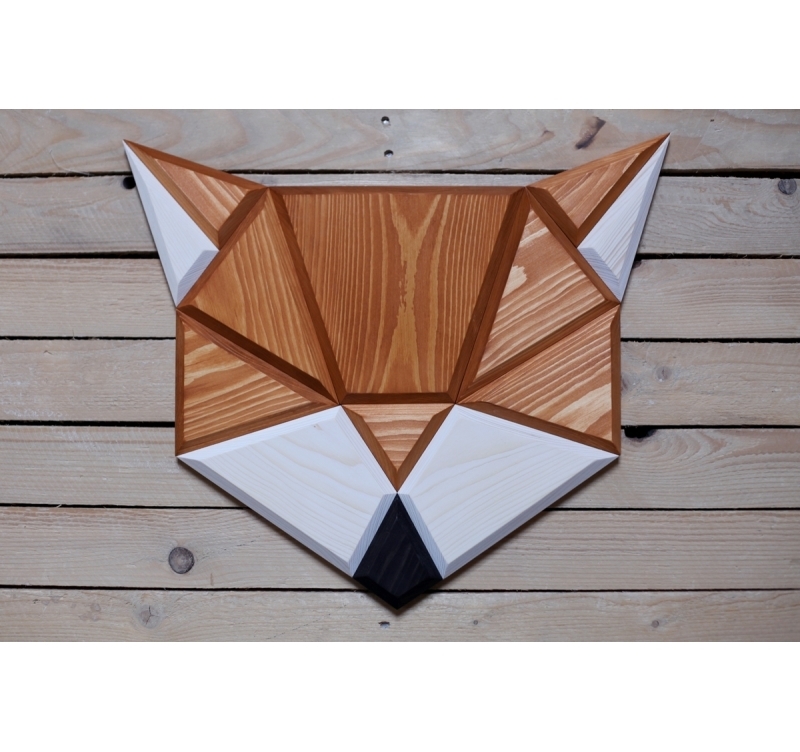 The hanging up of this fox deco wall trophy is very easy because of its integrated hanging system. The delivery is free in metropolitan France and Belgium for our whole collection of animal design wall deco. Each animal wood wall decoration is delivered in a cardboard box with a protective wrapping for safety.